Healthcare round 2: "Have we had discussions? Yes. Are we actively planning immediate strategy? Not at this time." On whether Nunes should recuse himself: "It's not up to me," said Spicer. "He is running an investigation which we asked for." Does Trump still think climate change is a hoax? Spicer dodged, and said that shouldn't be what people focus on. 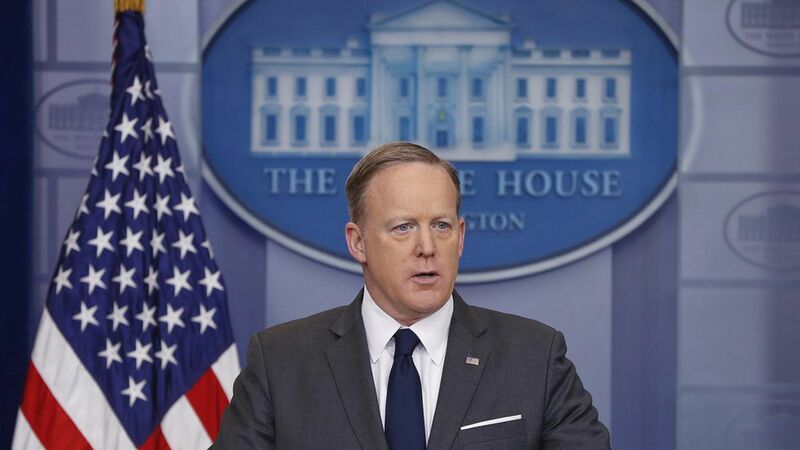 Tax reform: The middle class individual tax and the corporate tax rate need to come down, said Spicer. He said the FY17 reconciliation is probably the "most likely" way forward.